Whether you’re a seasoned fashionista or an experimental designer, the art of applique is sure to come up in your textile practice. Applique essentially means applying one piece of fabric to another – usually shapes or designs on top of a fabric background – and it can be a practical way to add some depth to your designs. Applique is often enhanced using different coloured or textured threads around the edges of the fabric motifs, and can even be embellished with beads, sequins and pearls. 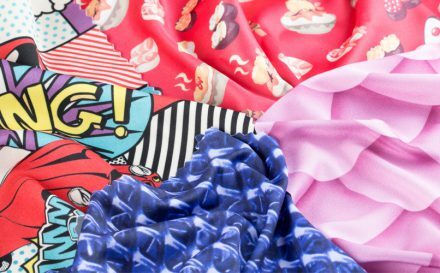 Not only is applique a stunning way to elevate clothing, but it can also be used to adorn cushions, bags and home ware. If the surface is fabric you’ll most likely be able to applique it in some way; whether it’s with needlework or adhesives. There are a huge range of different types of applique; there’s no right or wrong way to experiment with this fun technique, but different methods can result in very different looks. Discover different types of applique and choose the best style to enhance your sewing project. There are three main methods of application when it comes to types of applique, with each of these being able to create unique and different styles. The most common way to attach textiles is with sewing, in fact many people define applique by needlework. 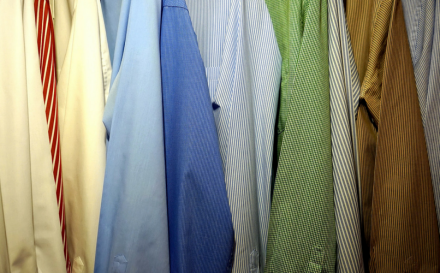 Choosing a method of application really depends on the final look you’re after and how advanced your sewing skills are, but there’s no right or wrong way to go. There are two main methods for completing applique using your sewing machine. 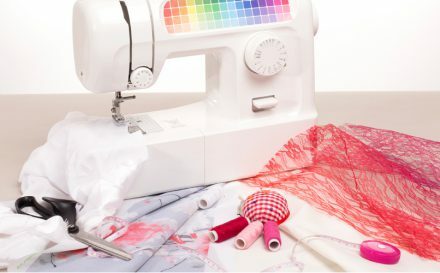 The traditional method (often called track down and trim) which is more advanced, involves stitching a placement line, placing your piece of fabric larger than the line over the stitches and then completing a second row of stitches to attach the fabric to the base material. Once this is completed, the excess fabric is trimmed away to reveal decorative applique shape. This type of applique can be time consuming, but is rewarding. A more recent (and increasingly popular) method of machine applique is done using pre-cut shapes, which can be laser cut or shop bought. 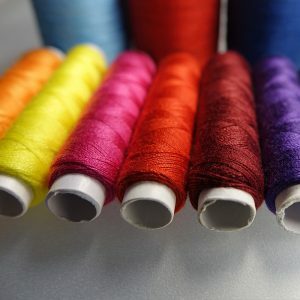 Generally, a zig zag stitch is used around the edge of the design to help create a smooth final edge for the following stitches and keep the shape in place. Following this, set your machine for a tight satin stitch and re-trace the edges of the design to cover the zig zag. 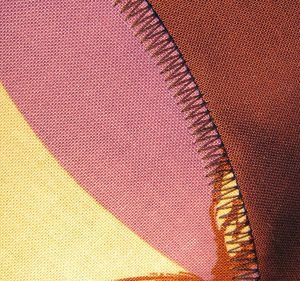 Make sure to position the edge of your shape beneath the needle so that half of the stitch falls on the fabric background and the other half falls on the applique shape, to ensure it’s secured. Most different varieties of applique are done using a machine, but hand applying applique is often used for quilting and is perfect for creating dimensional designs on your fabric. Hand sewn applique is essentially just sewing a shape to a piece of fabric using a needle and thread, but there are various ways to do it. 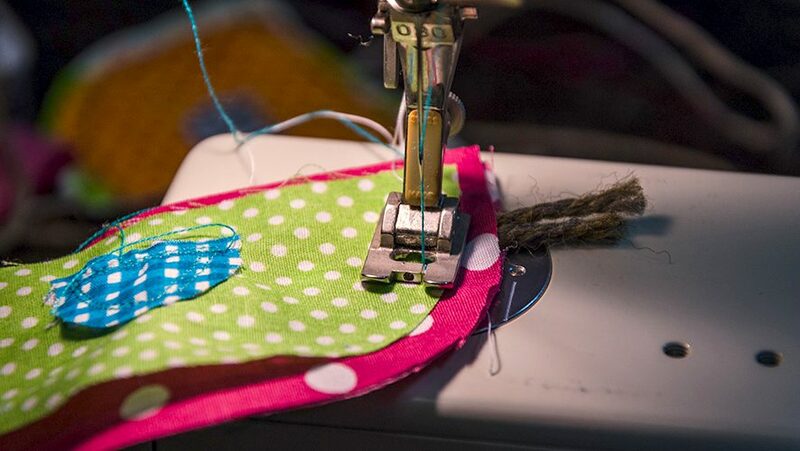 One of the more traditional methods of hand sewn applique is the ‘needle-turn’ method, where a needle is used to turn under the seam allowance while you sew the pieces to the fabric background. Hand applique allows for you to easily add embellishments to your design, such as slipping some sequins on the thread around the edges of your fabric motifs. 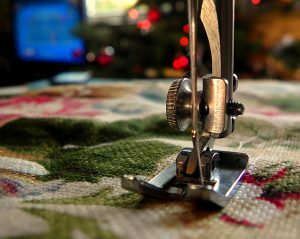 Sewing applique the traditional way can be very time consuming, so today a lot of people use fusible web which is generally an iron-on adhesive, to create beautiful designs. If you’re after a quick way to create an effective design, the fusing method is your best bet. The fabric shapes are fused to the base fabric using the web, and then machine stitching on top holds the pieces together and gives an embroidered finish. Using a machine, you can stitch thread over the raw edges of the appliqued shapes to give them a tidy finish that looks smooth and neat. 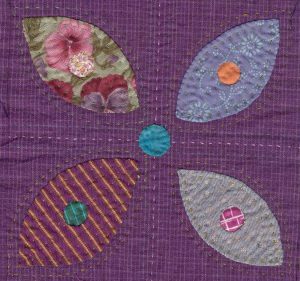 This method of applique is perfect for smaller projects, and essentially means sewing pieces of fabric onto a background piece of fabric without finishing or turning the edges. It can be done by hand or machine and can create some sophisticated designs without the extra work. This is perfect if you’re more advanced and want to create a larger hoop design using your machine. Placement stitches are created on the design, and the background fabric is repositioned so that each section is accurately stitched. This results in a design that is completely finished once the machine stitching is done, and is a beautiful technique for a more detailed look. If you’re sewing with a machine, you can experiment with the decorative stitch options to make your design stand out against the fabric. It’s an experimental process most suited to those comfortable with a sewing machine, but can be very rewarding! To jazz up your applique skills, try creating a design with felt shapes. The edges of the motifs won’t need to be finished or turned because felt doesn’t unravel, so it’s an easy way to try out applique. Applique is all about being experimental and having fun with your fabrics. Now that you’ve read more about the different types of applique, design your own fabric and get creative.